WASHINGTON — The Obama administration is directing all U.S. diplomatic posts overseas to review security and the State Department says it will give additional help to embassies and consulates in need. This initiative comes as the Senate Intelligence Committee edges toward releasing parts of a report documenting CIA abuses of terror suspects after the Sept. 11 attacks. The CIA has contested the conclusions of the report. The department’s disclosure of the move to tighten security was made in a recent letter to Sen. Jim Risch of Idaho. 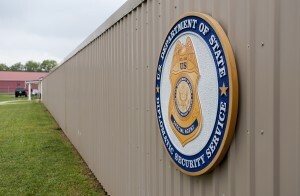 The department indicated in the letter that each American diplomatic post was reviewing security to protect American personnel, facilities and interests, including those of private citizens and businesses. Risch and other Republicans had expressed concerns earlier about publicly releasing the summary and conclusions of the so-called “torture report,” fearing “another Benghazi-like” event. The lawmakers voiced concern that a public presentation of harsh interrogation methods, including what Senate investigators describe as cases of torture, could lead to a “range of reactions” worldwide. “Based on these ongoing discussions with our posts overseas, we are prepared to respond to requests for additional security support,” Chad Kreikemeier, the State Department’s legislative point-man, said in an Aug. 29 letter to Risch. A copy was obtained by the Associated Press. Concern about possible fall-out from release of the report has been particularly acute as the two-year anniversary approaches of the attack on the U.S. diplomatic facility in Benghazi, Libya that killed Ambassador Chris Stevens and three other Americans.Concern about possible fall-out from release of the report has been particularly acute as the two-year anniversary approaches of the attack on the U.S. diplomatic facility in Benghazi, Libya that killed Ambassador Chris Stevens and three other Americans. Thursday also marks 13 years since the Sept. 11, 2001, terrorist attacks in the United States. However, legislative aides say a censored version of about 500 pages of the 6,600-page review won’t be distributed this week. It could be made public later this month. The CIA contests the report’s findings, particularly its broad conclusions that waterboarding and other “enhanced interrogation techniques” failed to product valuable information and that the intelligence agency misled the Bush administration, Congress and the public about the value of the harsh treatment. The CIA also employed unauthorized techniques on detainees and improperly held others, and never properly evaluated its own actions, according to legislative aides and report findings leaked in April. Those findings are consistent with what senators have detailed about the investigation since its 2009 inception and what a host of news reports, human rights organizations and various governmental and non-governmental studies have suggested in the decade since the CIA’s program started coming to light. President Barack Obama has likened the harsh interrogations to torture, but the spy agency says much in the Senate committee’s report is inaccurate. The agency insists some detainees subjected to the interrogations produced solid intelligence that helped U.S. authorities to apprehend other terror suspects and break up attacks. It is prepared to acknowledge its interrogation and detention program was badly managed in the early years, and point out that three successive CIA directors have repudiated the techniques as inconsistent with American values. But it won’t accept the criticism that its methods proved useless. Most of the intelligence committee’s Republicans support the agency in that regard. In their July 30 letter to Secretary of State John Kerry, the GOP lawmakers raised the question of even suspending embassy operations or closing diplomatic posts in particularly sensitive places. Kreikemeier’s response didn’t outline any such drastic steps.